A snorkeler explores a shallow reef in the Seychelles in February. The island nation of the Seychelles announced a groundbreaking marine conservation plan, in which they agreed to swap parts of its debt and in return they designated nearly a third of its ocean waters as protected areas. These striking images are a reminder of why we should act to protect the environment. 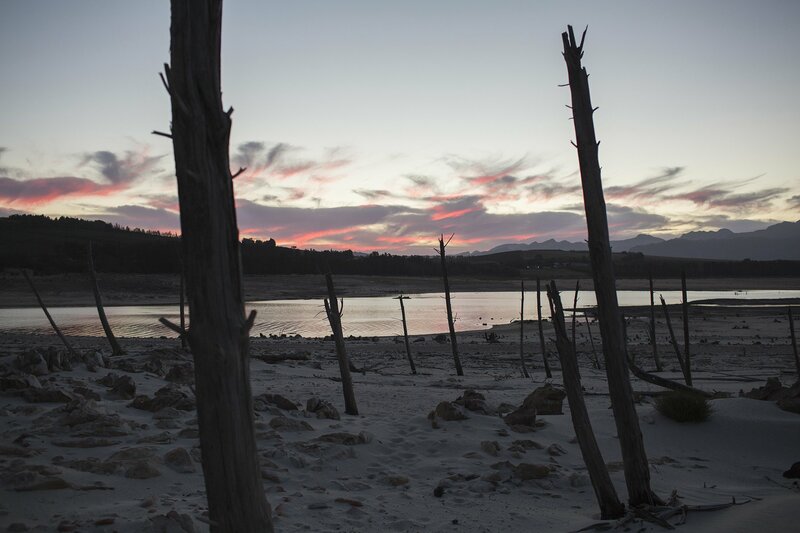 As Cape Town, South Africa, grapples with its worst-ever drought and massive landslides threaten life in Indonesia, climate change and extreme weather events continue to endanger people and places. But these striking images from around the planet remind us of what's at stake. 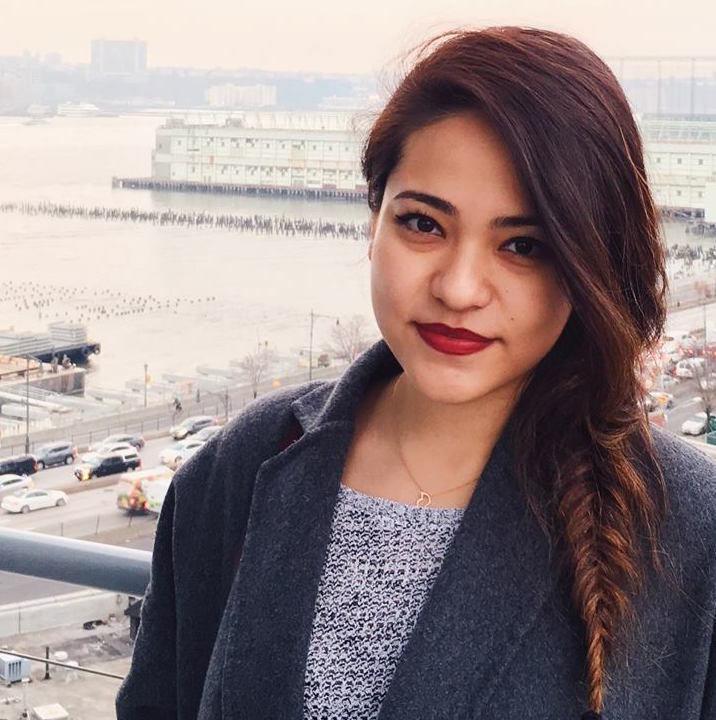 From the stunning waters of Seychelles to lush hiking trails in Hong Kong, from Indian sea turtles to rescued Syrian lions, here are 17 reasons to help save the environment we all share caught on camera. 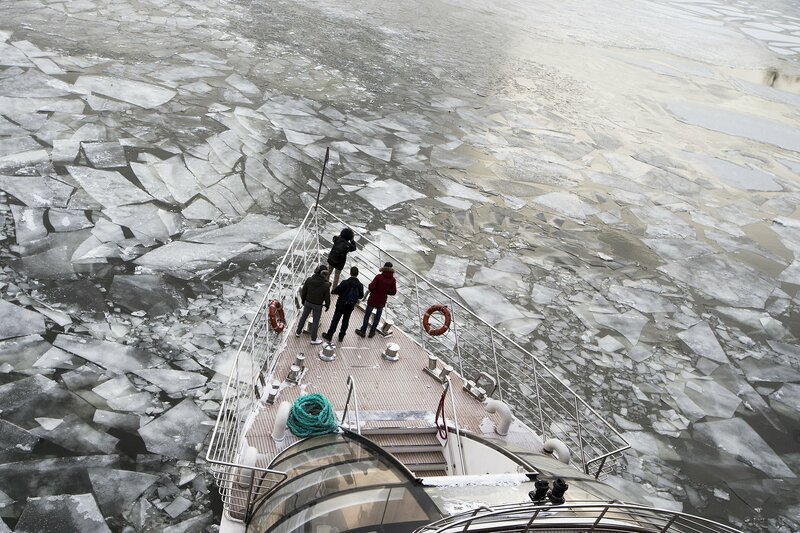 1) Winter in Russia: Passengers stand on a deck of a tourist boat with restaurant aboard especially designed for winter river cruises as it breaks through the frozen Moskva River in Moscow, Russia, Monday, Feb. 26. Temperatures dipped to -14 degrees Celsius (6.8 degrees Fahrenheit) in Moscow and -24 degrees Celsius (-11 degrees Fahrenheit) at night. 2) Winter Landscapes in Lapland, Finland: Wind turbine fans loom out of the fog near Oulu, North Finland on Feb. 7. 3) Flamingos: Pink flamingos are seen at the Ras al-Khor Wildlife Sanctuary on the outskirts of Dubai, in the United Arab Emirates, on Feb. 13. The sanctuary which is Dubai's only desert wetland occupies about 2.4 square miles on the banks of Dubai Creek and comprises of mudflats, lagoons, pools, and mangroves. 4) Karadag Sled Dog Rally: Siberian husky dogs of the Royev Ruchey Park team pull a rig during a practice session for the Karadag Sled Dog Rally on the frozen Mana River, with the air temperature at about -21 degrees Celsius (-5.8 degrees Fahrenheit), in the Siberian Taiga area outside Krasnoyarsk, Russia, Feb. 6. 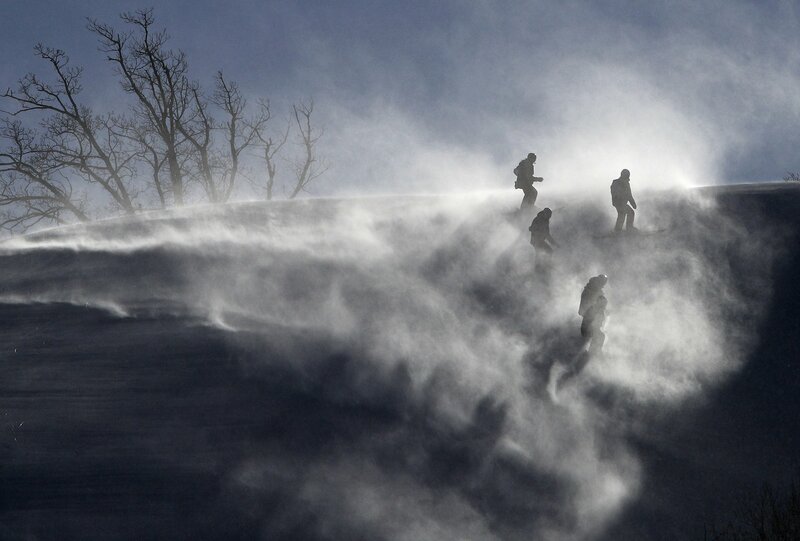 5) Pyeongchang Winter Olympics: Course crew are shrouded in snow as they slip slide to the finish after the women's giant slalom was postponed due to high winds at the 2018 Winter Olympics at the Yongpyong Alpine Center, Pyeongchang, South Korea, Monday, Feb. 12. 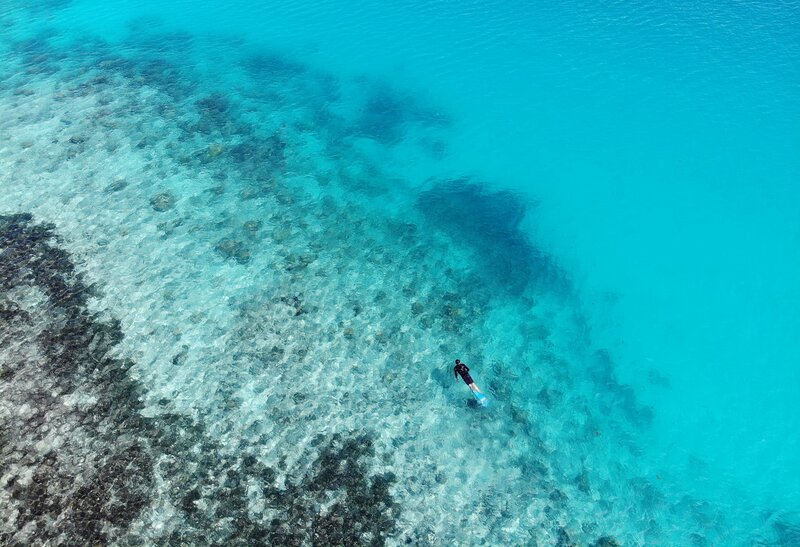 6) Seychelles Conservation: A snorkeler explores a shallow reef in the Seychelles in February. The island nation of the Seychelles announced a groundbreaking marine conservation plan in which it agreed to swap parts of its debt in return for designating nearly a third of its ocean waters as protected areas. 7) Turtles in India: Olive Ridley sea turtles return to the sea after laying eggs on Rushikulya Beach, some 88 miles southwest of Bhubaneswar in India's eastern Odisha state, on Feb. 23. Thousands of Olive Ridley sea turtles started to come ashore in the last few days from the Bay of Bengal to lay their eggs on the beach, which is one of the three mass nesting sites in the Indian coastal state of Odisha. 8) Cape Town, A City Without Water: Residents queue to fill plastic water bottles and containers as night falls at the Newlands natural water spring in Cape Town, South Africa, on Wednesday, Feb. 7. Confronted by the worst drought on record after years of disastrously low rainfall, city authorities say they may have to turn off the water entirely on the famous 'Day Zero,' if reservoir levels keep falling and consumption doesn't slow enough. 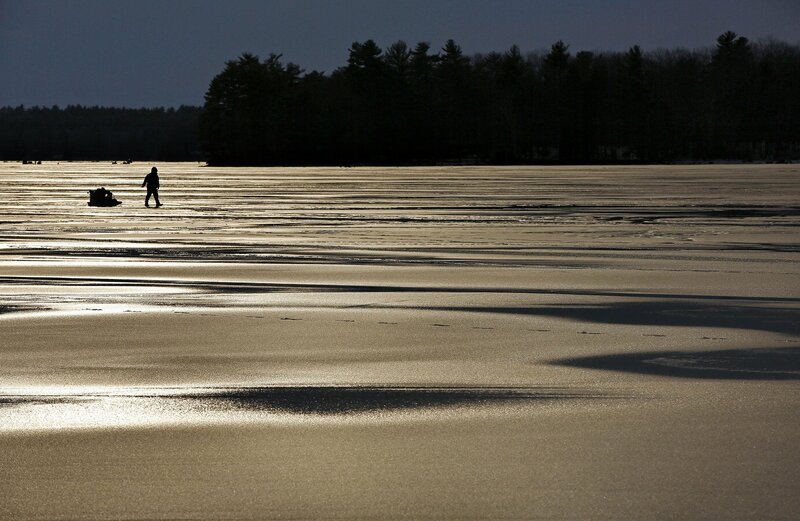 9) Warm Weather in Maine: Bryan Desroches, of Berlin, Conn., pulls a sled loaded with ice fishing gear across Jordan Bay on Sebago Lake as he heads for shore after an unsuccessful day in Raymond, Maine, Feb. 24. The unseasonably mild weather created puddles of melt water on the surface of southern Maine's largest lake. 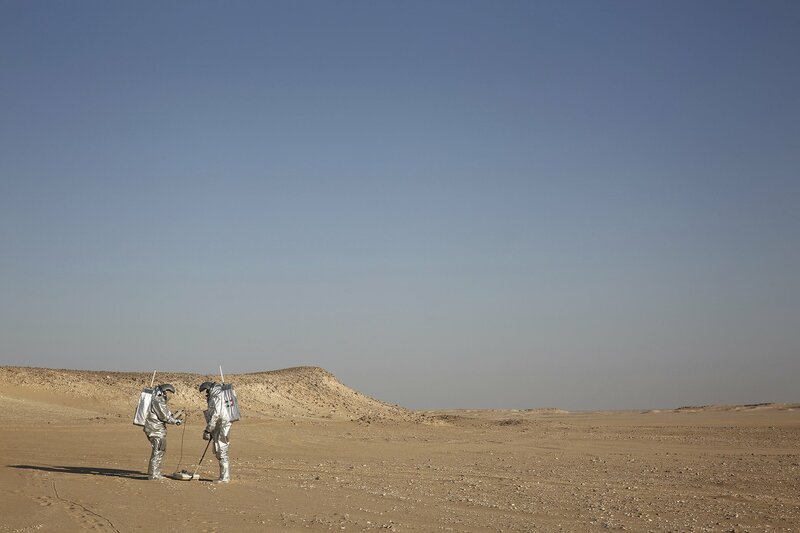 10) Mars Mission: Two scientists test space suits and a geo-radar for use in a future Mars mission in the Dhofar desert of southern Oman on Feb. 7. The desolate desert in southern Oman resembles Mars so much that more than 200 scientists from 25 nations organized by the Austrian Space Forum are using it for the next four weeks to field-test technology for a manned mission to Mars. 11) Rescued Lions: A 4-year-old lion named Simba, who was rescued from Syria by the animal rights group Four Paws, is released into an enclosure at the Lionsrock Lodge and Big Cat Sanctuary in Bethlehem, South Africa‎ on Feb. 26. 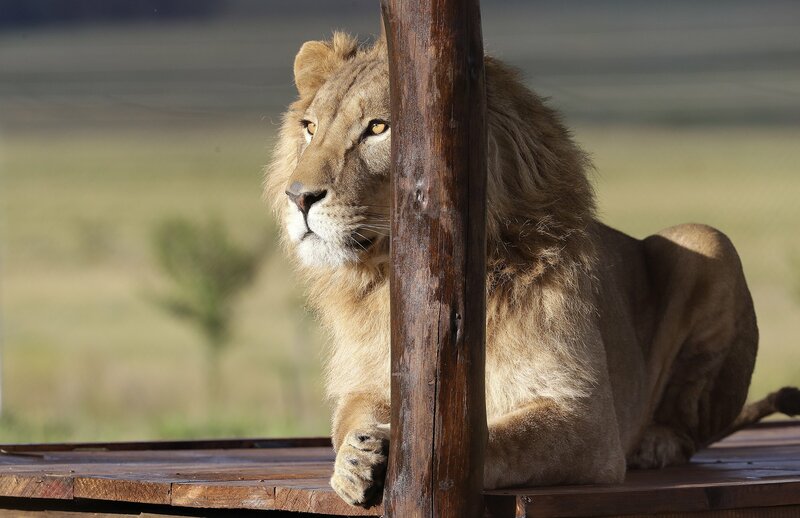 Two lions rescued from neglected zoos in war zones in Iraq and Syria were transported to South Africa on Monday to live at a sanctuary with other animals that survived harsh conditions in captivity elsewhere in the world. 12) Cape Town Water Crisis: Cape Town's main water supply from the Theewaterskloof dam outside Grabouw, Cape Town is pictured on Feb. 1. 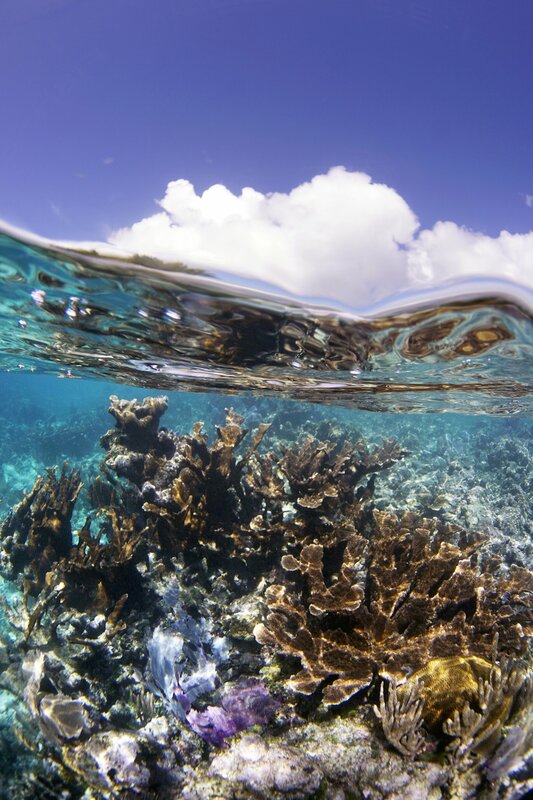 13) Coral Reef: A healthy reef is pictured off of the coast of Utila, Honduras. 14) Landslide in Indonesia: Search and rescue teams work to find victims of a landslide in Brebes, Indonesia on Feb. 24. The landslide destroyed houses and left 18 people missing. 15) Hikers in Hong Kong: Hikers walk the Ngong Ping 360 Rescue Trail on Hong Kong's outlying Lantau Island on Feb. 23. 16) Pollution in Guatemala: A fisherman is seen in his boat on Lake Atitlan in the highlands in Panajachel municipality, Solola department, some 40 miles west of Guatemala City, on Feb. 15. Environmentalists and the authorities say the pollution in Lake Atitlan is alarming, and are carrying out awareness campaigns on the need for better waste management, while plans are underway to upgrade wastewater treatment plants. 17) Coal-Fired Power Station in Germany: Aerial view to the coal-fired power station of Boxberg on Feb. 14 in Boxberg, Germany.